The Tempo 1 and 2 satellites can transmit more than 200 channels of high-fidelity broadcast programming to cable companies and home dishes. Tempo has twice the power and capacity of comparable satellites. It features 32 high-powered Ku-band transponders at 115 Watts, switchable to 16 transpondersders at 220 Watts. Total on-board transmitter power totals 3500 Watts. The Tempo spacecraft is based on SS/L's three-axis, body-stabilized SSL-1300 platform. Under the Tempo contract, SS/L also procured launch and risk management services for the program. 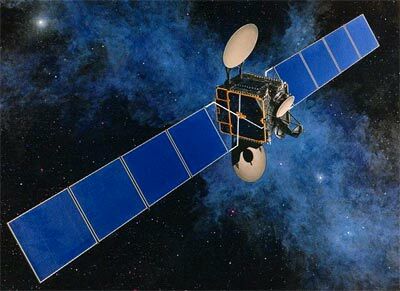 DirecTV 5 was originally built as Tempo 1, but just prior to launch, TeleCommunications Satellite, Inc (TCI), and its partner PrimeStar, lost the orbital slot to MCI in an auction for a DBS FCC license, with MCI bidding US$682.5 million for the 110°W slot. Despite the loss of license, Tempo Satellite, Inc. (TSat) launched Tempo 2 on March 8, 1997, and parked the unused satellite, in the 118.8°W orbital slot. In 1999 DirecTV purchased both Tempo satellites, as part of its purchase of PrimeStar. Meanwhile, in 1998 TCI was acquired by AT&T. In August 2000, DirecTV renamed Tempo 2 to DirecTV 6, and Tempo 1 to DirecTV 5. Tempo 2 fell victim to a solar flare in April 1997 which knocked out three transponders, and damaged the solar array. Additionally it suffered three complete power outages. The causes for the recurring malfunctions weren't immediately known, but it was suspected that that the failure was related to its solar panels.